I get the NY Times the only way I can afford it…for free, online. I receive emails hounding me with news alerts, headlines, book and film reviews on a daily basis. I do an utterly horrid job of keeping up. Today I was surprised, given that I wrote a previous post about being “raised by wolves,” to find that the same title being used for a NY Times book review of a recent memoir. 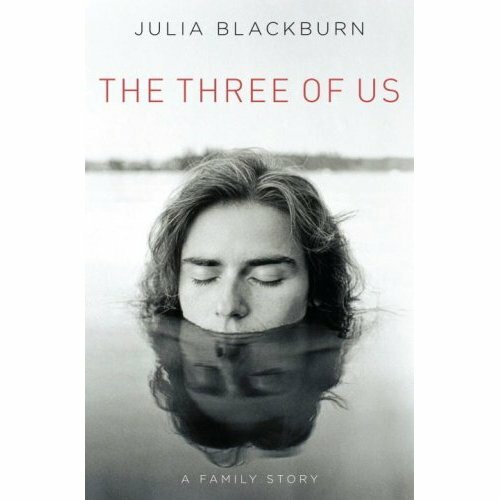 The memoir, The Three of Us by Julia Blackburn, details the author’s “appalling upbringing at the hands of monstrously self-involved, catastrophically unfit parents manages to be completely distinct yet hauntingly familiar.” As I read through the review, I think to myself: “Boy, would this lady and I have a lot to talk about!” Even more interesting, the reviewer claims that forgiveness is a large part of this book. In a sense, the author is forgiving her parents, even her nymphomatic mother who she says she had to cling to because she had no one else. Hmm, forgiveness. People are often shocked to hear that I don’t celebrate Mother’s Day with my own mother. That I haven’t actually talked to my mother in ten years. That the last mother’s day card I bought was for my aunt a few years ago and the only ones in my posession, I received from my little sister all through the four years she lived in my custody. I can’t relate to these people who believe that everyone loves their mother no matter what. They can’t imagine the horrors a mother could commit against her own children. But I suppose that G-d didn’t want them to imagine anything such, at least, not until they were introduced to me. These people stare at me with the same curiosity that I stare at them. “You love your mother?” I wonder. “How could she not love her mother?” they wonder. Both of us sit perplexed as if staring at each other behind a wall of plexiglass at a zoo. In writing about my mother recently, I’ve been told to make humanize her character. “She seems like a monster,” they tell me. “What’s the other side?” I insert the only things I can imagine humanizing her with, not the happy stories from my childhood because I don’t remember many that involve her, but with the sad truth of my mother’s mental illness and her own abusive childhood. And there were instances where even in her illness, she sought to protect us from an oh-so-terrible outside world, even if she couldn’t protect us from herself. “But mental illness doesn’t explain why a mother throws knives at her children!” someone insists. If it doesn’t, then I don’t know what does. I would like to ask you a question if I may. Please do not treat it as an attempt to be argumentative, because that is not my intention, but to try and understand. Could you please explain how you reconcile the 5th Commandment with how you see your mother? Or do you? Hope this is clear. Thank you for your reply. I went through an abusive childhood and have never been close to Mom as a result. I see your point. Dealing with my now 60 something Mother has always been problematic in my adult life but it is a little better thanks to my 7 year old son. I hope you can find healing in all if the good work you are doing! I can only imagine how hard a road that is and I hope that both your mother and your son will come to appreciate it, if they do not already.